Erected by the State of Louisiana. Location. 32° 0.685′ N, 93° 40.07′ W. Marker is near Mansfield, Louisiana, in De Soto Parish. Marker is on Louisiana Route 175 north of Parish Road 48, on the right when traveling north. Touch for map. Located just north of Battlefield entrance. 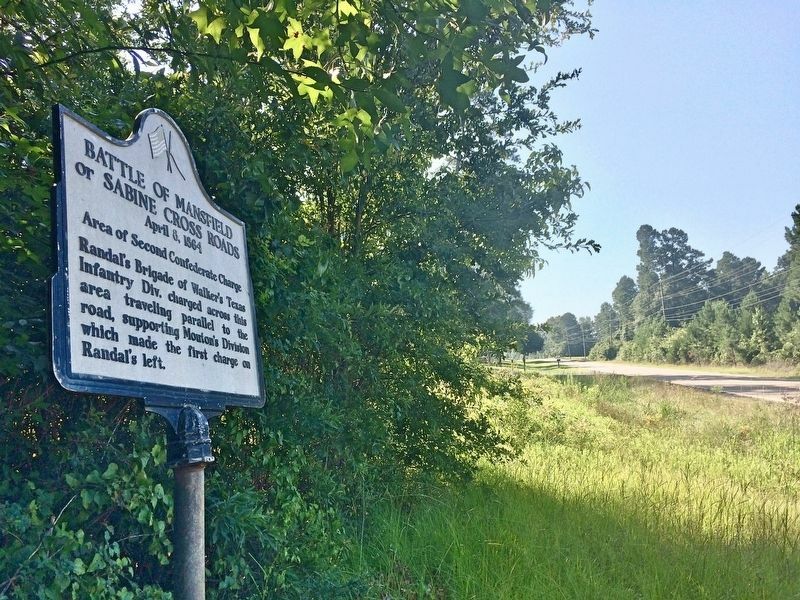 Marker is at or near this postal address: 15149 LA-175, Mansfield LA 71052, United States of America. Touch for directions. 2. Battle of Mansfield State Historic Site on far left just beyond the tree. (approx. 5.8 miles away); Las Ormigas Spanish Land Grant (approx. 6 miles away); Double Churches (approx. 6½ miles away); Federal Advance (approx. 7.8 miles away). Touch for a list and map of all markers in Mansfield. 3. 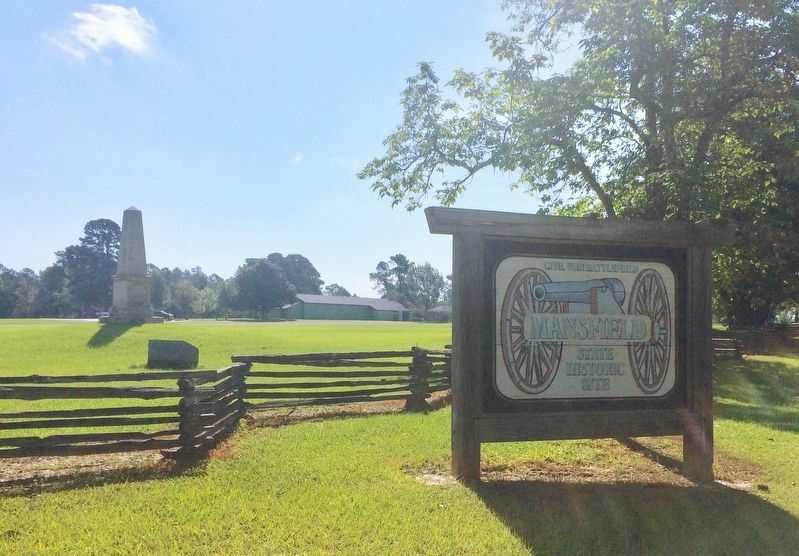 Battle of Mansfield State Historic Site. More. 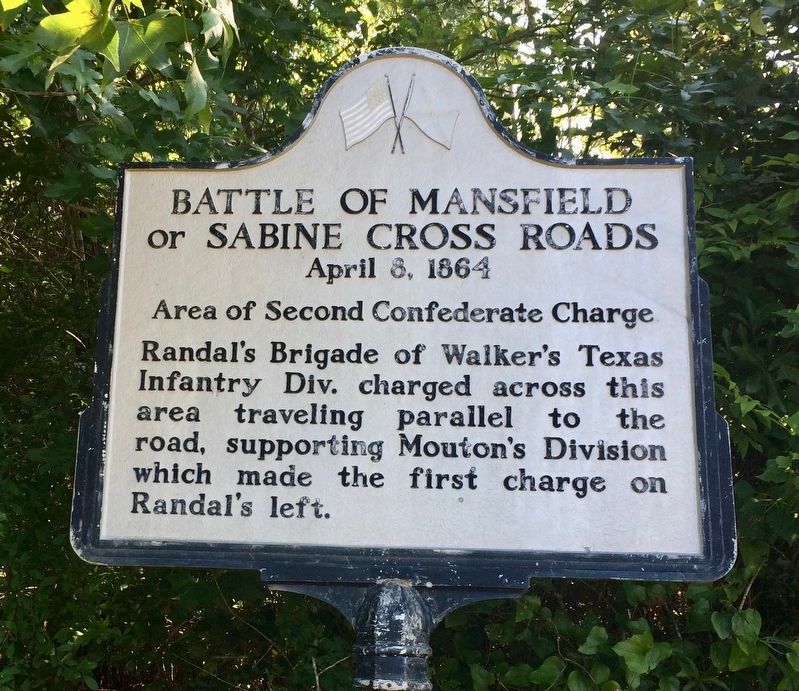 Search the internet for Battle of Mansfield or Sabine Cross Roads. Credits. This page was last revised on July 12, 2017. This page originally submitted on July 10, 2017, by Mark Hilton of Montgomery, Alabama. This page has been viewed 116 times since then and 13 times this year. Photos: 1, 2, 3. submitted on July 10, 2017, by Mark Hilton of Montgomery, Alabama.